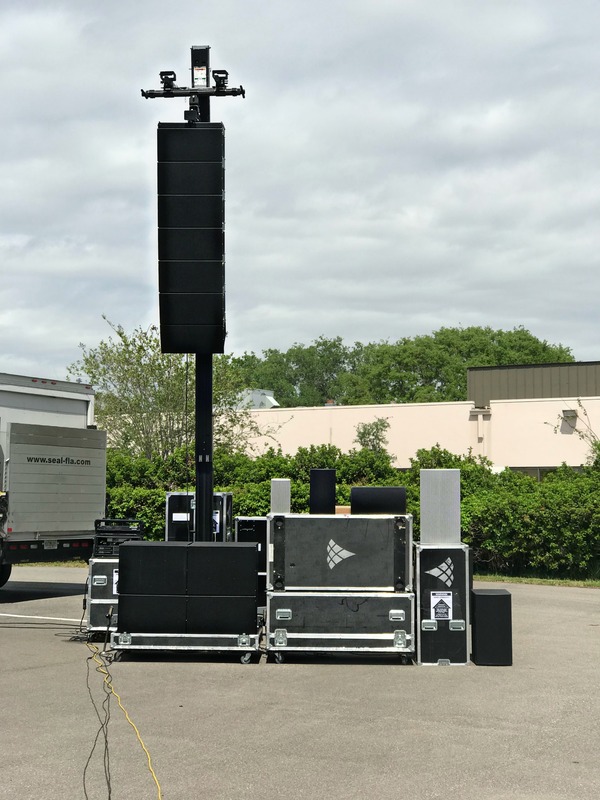 Image | April 3, 2019 April 3, 2019 | Polar Focus, Inc.
Our good friends at Community Professional Loudspeakers needed an easily transportable demonstration rig to show off their latest speaker products. The demonstration kit they traveled with did not include any lifting towers. The crew would use crank towers or a forklift provided by the local Community dealer, who was the host. 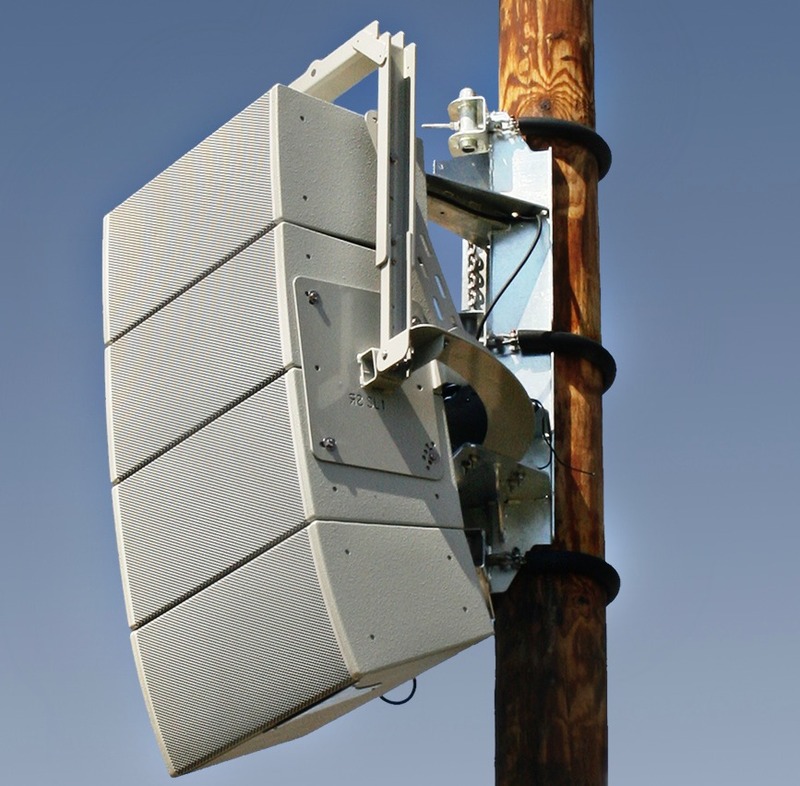 A key product being demonstrated on this road show is the IV6 Vertical Array Module system. We designed a special lifting bar that would fit all popular crank tower arm sets, and most forklifts. It has convenient lifting handles on each end to make mounting it onto a tower or forklift easy for two people. The line array frame for the IV6 quickly pins to the lifting bar with pan and tilt adjustability. The lifting bar can be easily converted to support conventional speakers like the Community R2 series. 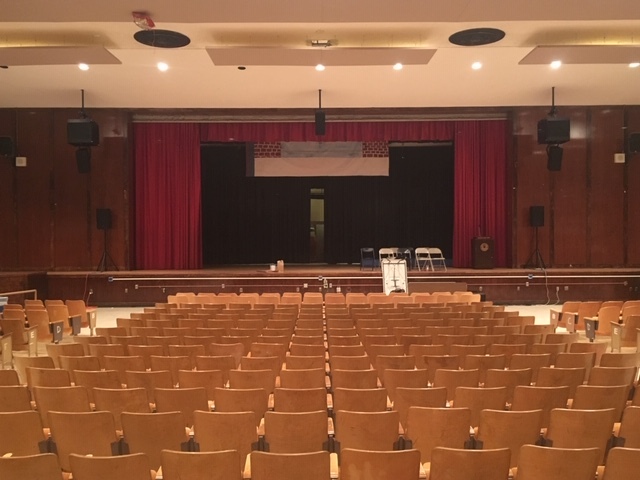 Roger Ganz of Acoustic Distinctions and Gary McKenzie of GMAC Media Solutions got in touch with us for help rigging these D&B Audio clusters at Francis Lewis High School in Queens, NY. Each of the side clusters consist of one d&b ViSub and one d&b Vi7P mid-hi. 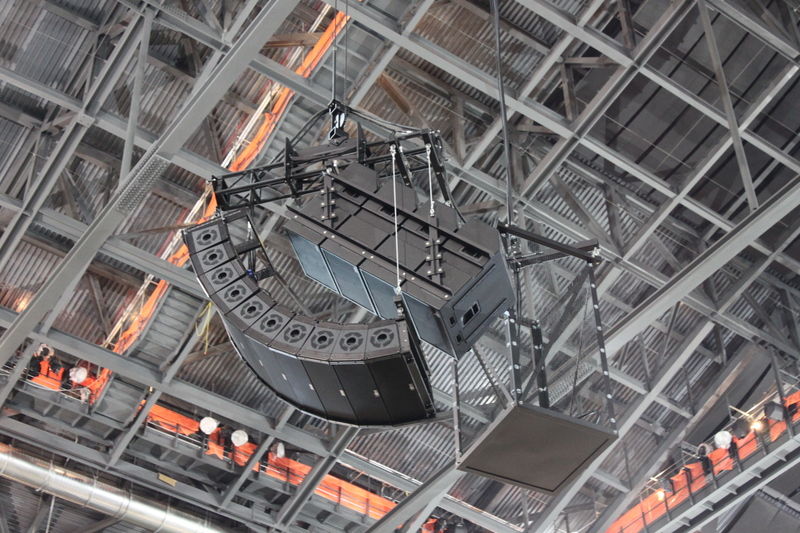 We provided custom frames for these d&b loudspeaker clusters, rigging components for the center cluster, as well as PE stamped drawings for the State of New York. 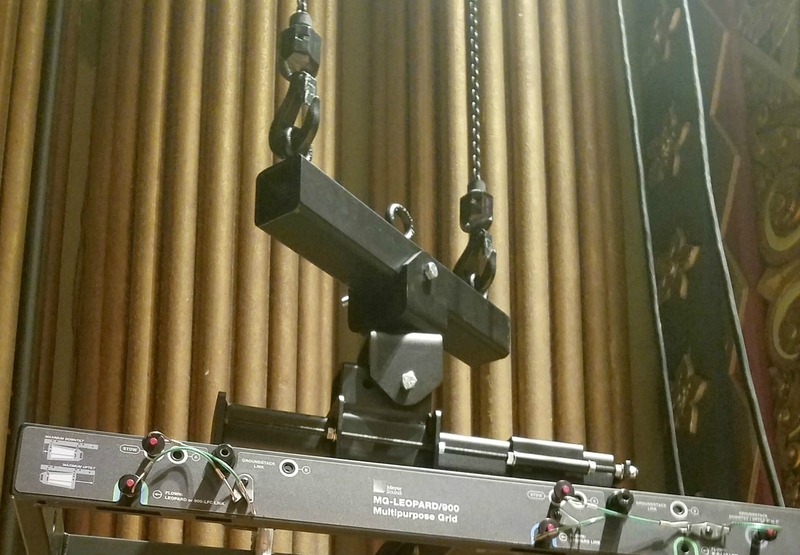 This system was skillfully installed by Joshua Sherer of IATSE Local 1. These clusters look great and will serve the students for years to come. Go FLHS Patriots! Image | January 29, 2019 | Polar Focus, Inc.
Brian Ritter, General Manager for Martin Woldson Theater at The Fox in Spokane, WA contacted us for assistance rigging these Meyer Sound Leopard line arrays. 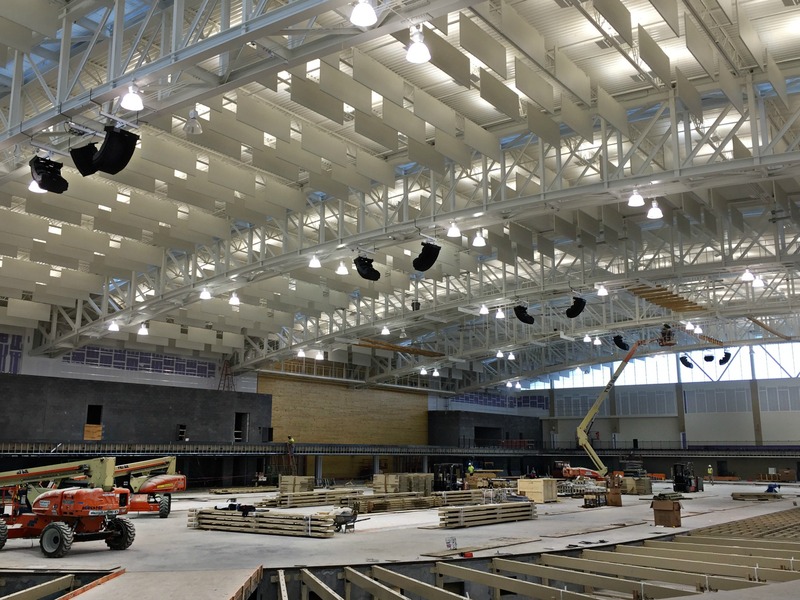 Each of these speaker clusters weigh in at 1100 lbs. Polar Focus supplied our Rocker Zbeam and Spine Frame Adapter for the two clusters. Brian’s email made our day!! 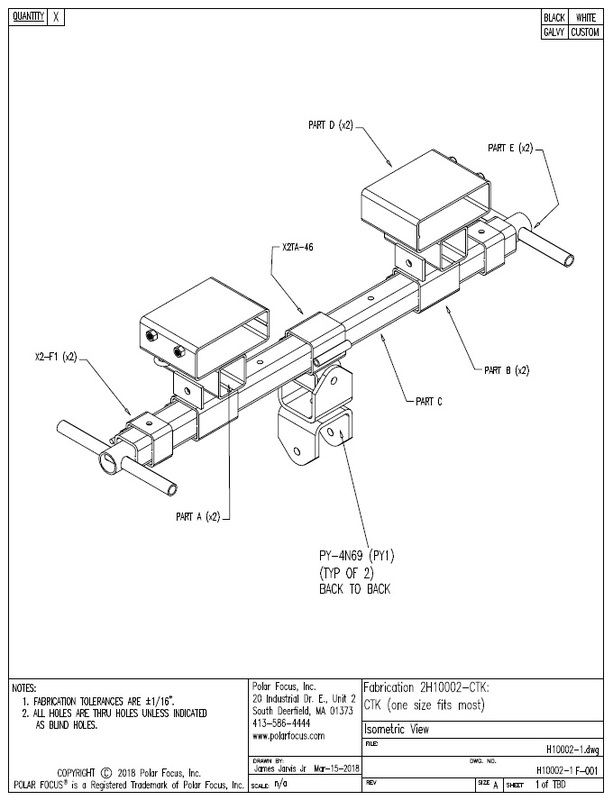 and PE stamped drawings in any US State and Canada provided by Polar Focus. 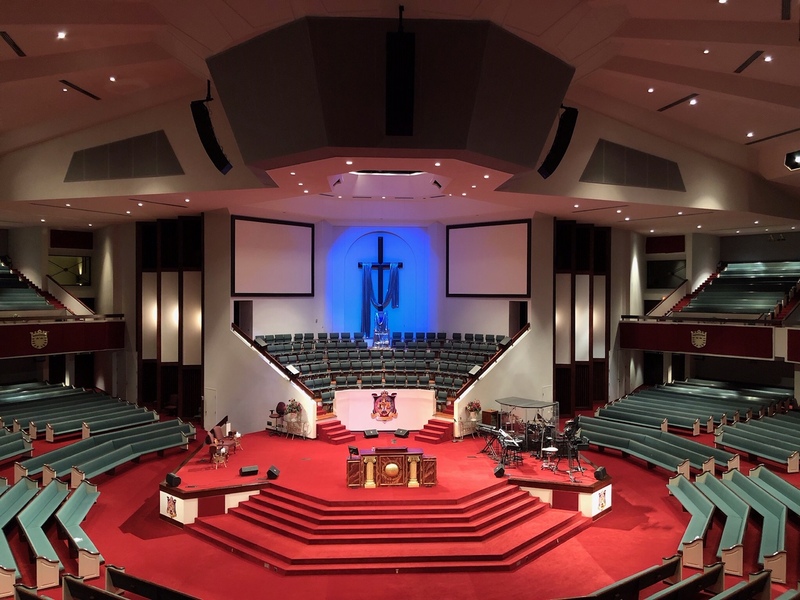 Image | January 4, 2019 April 3, 2019 | Polar Focus, Inc.
Chris West from S. E. Systems, Inc. in Greensboro, North Carolina got in touch with us for assistance with these d&b audiotechnik loudspeakers. 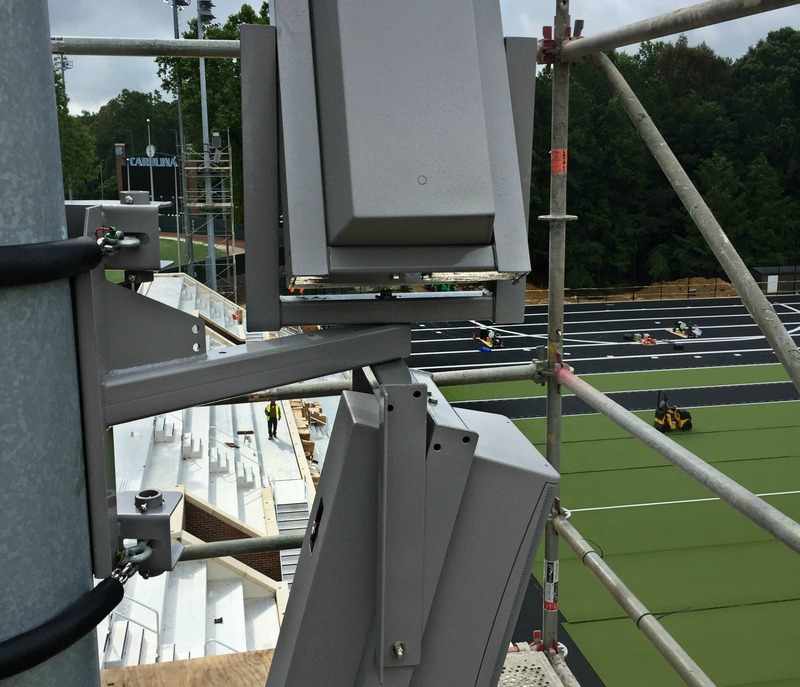 These were installed at the University of North Carolina field hockey stadium. Each cluster is comprised of one d&b 24S and one d&b 10S. Polar Focus supplied our standard PM1-17-G Pole Mounts, as well as custom baby seat style yokes for each speaker. Great work Chris and the crew at SE Systems! Go Tar Heels!! 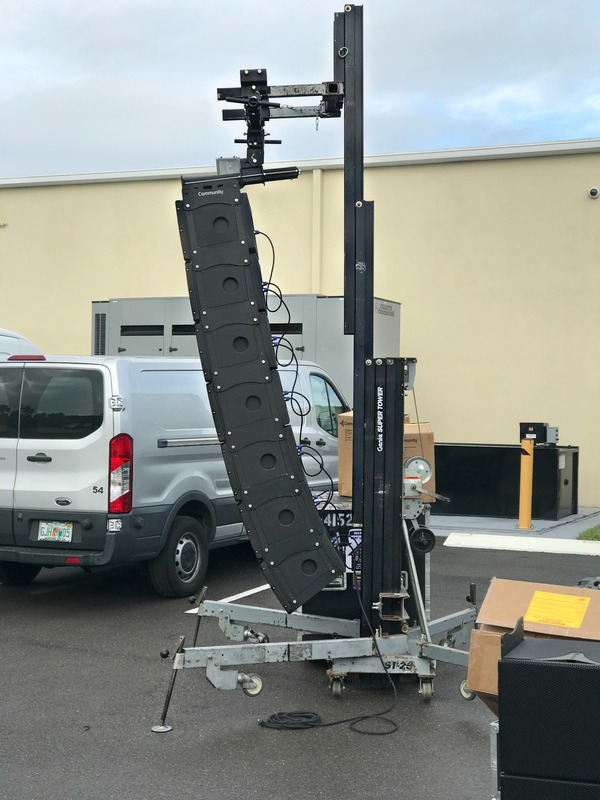 Image | December 20, 2018 | Polar Focus, Inc.
Randi Crooks from Magnum Audio Group in Tampa, Florida got in touch with us for assistance rigging these Community Professional Loudspeakers R Series speakers in married pairs on two poles. These four RSH462 and RMG-200-AT were skillfully installed at the county soccer field in Hillsborough, Florida. Polar Focus Pole Mounts on lighting poles are usually the easiest way to rig outdoor speakers. We use stainless steel rigging rated chain and hose kits, which provide a super strong connection that does not void the warranty of the lighting pole. This looks great and will for years to come! Video | November 19, 2018 | Polar Focus, Inc. This morning we were moving our test rig used for rating Pole Mounts off of our parking area and onto the lawn for winter storage. The mount that this was used with (a not yet released product) has a 129mph static wind rating, which is class 3 hurricane force winds. There’s nothing like a chance to work with a big crane! Image | March 29, 2018 March 29, 2018 | Polar Focus, Inc.
A note on rising steel prices due to recent US tariffs: Our steel vendors have already begun to contact us about limited availability, price increases, and price volatility in the steel industry. Polar Focus is committed to providing the safest and highest quality rigging hardware systems and components and will continue to do so. We added a ‘steel surcharge’ in our system today for those instances where a markup would be necessary. We will keep working with our vendors to ensure we get the best steel prices we can. If you have received a quote or estimate from us in the recent past, please double check with us on pricing before sending a purchase order. We have not raised our prices in over 10 years, due to relative market stability. We appreciate your business! 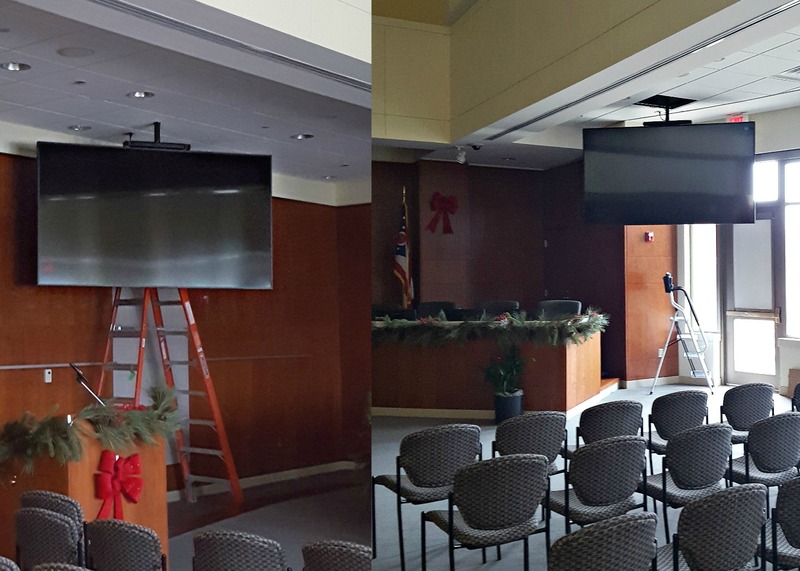 Image | June 2, 2016 July 11, 2018 | Polar Focus, Inc.
Bose RoomMatch clusters installed by Jim Hogan of IES Communications. and spreaders. Every cluster is easily adjustable in pan and tilt under full load. wrong cabinets on the clusters. The more we did the faster we got. Imagine that! system for years to come.